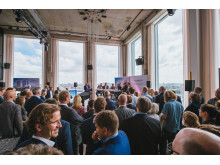 Festive "Ground-breaking Event": The kick-off for the new Maritim Hotel Amsterdam. 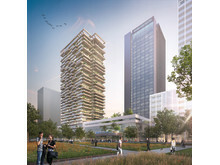 The planned "Y-Towers": Residential Tower and Maritim Hotel Amsterdam. 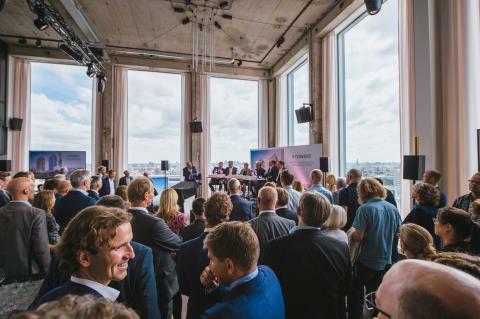 “We are really pleased about this highly attractive location for our new Maritim Hotel Amsterdam,” explained Dr Monika Gommolla, chairperson of the supervisory board and owner of the Maritim Hotelgesellschaft, in front of a large number of guests from all over the world. 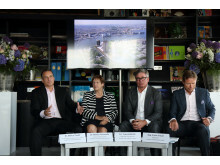 “We see enormous potential in Amsterdam, particularly in the conference business. 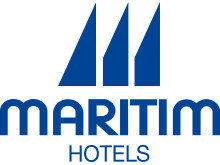 Maritim has nearly 50 years’ experience in this field. Moreover, Maritim Hotels always stand out from the crowd with their excellent locations, and this is true of the Amsterdam hotel, with its position in the Overhoeks area. There are lots of opportunities for development in this location, which is central, modern and has excellent infrastructure,” explained Dr Monika Gommolla. 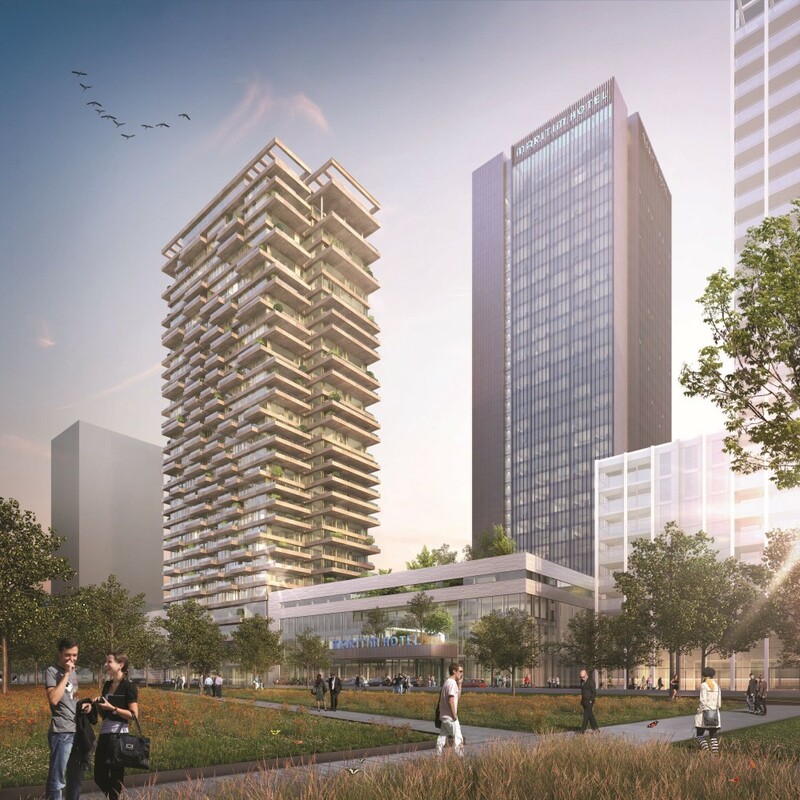 The new Maritim Hotel Amsterdam is being built in the centre of Amsterdam, in the fashionable area of Overhoeks in the Amsterdam-Noord district. The booming area of Overhoeks was formerly an industrial area and is now one of the largest development areas in the Netherlands. 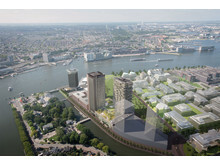 It is centrally located on the northern bank of the river IJ, right opposite the main railway station of Amsterdam. Right next to it, are the two tourist attractions, the A’DAM Tower and the EYE Film Museum. With 579 rooms and suites and meeting facilities for over 4,000 people, Amsterdam is to be the largest Maritim Hotel and at the same time, one of the largest conference hotels in Europe. With 34 floors and at 110 metres tall, the hotel in the 4-star-plus category is the highest in the city and the third-highest building in Amsterdam. The modern tower is being built directly opposite the main railway station, and guests will enjoy magnificent views of the old town and the city's famous harbour.